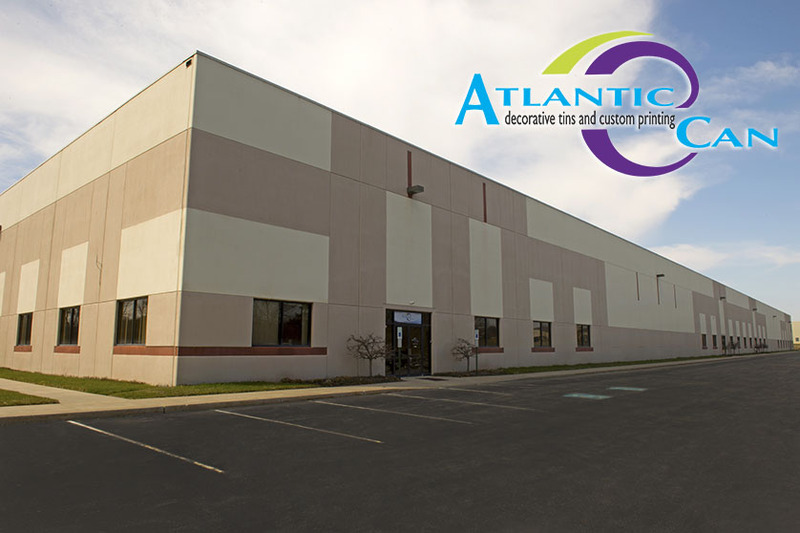 Established more than 20 years ago as Atlantic Sales & Distribution, Atlantic Can Company has grown to become one of the largest decorative tin container distributors in the country and is also the only tin distributor to offer in-house custom printing services. This advantage gives our customers the benefits of faster turnarounds and improved quality assurance. From our Customer Service Department to our Printing Department to our Shipping Department, the staff at Atlantic Can is dedicated to exceeding customers' expectations. In fact, we have heavily invested our resources over the past 5 years to upgrade our order picking to a bar-coded system that ensures orders are filled promptly and accurately. Our uniquely designed tin lid and cylindrical tin body printing presses were custom built specifically for our company and enable us to create one-of-a-kind, eye-catching personalized tins from customers’ artwork. These innovative machines allow us to custom print orders with quantities as low as 24 tins both rapidly and cost-effectively, while also enabling our printing experts to handle large quantity custom orders with ease. We are the only can company in the country with a silk screen department on the premises, which gives our customers the benefits of faster turnaround time and improved quality assurance. We take great pride with each tin we custom imprint and strive for the highest quality in our industry for our customers. Our state-of-the-art screen printing equipment gives us the tools to exceed your expectations. We are the only wholesale tin supplier employing Multicolor Micro Screen Printing Technology (MMPT), which gives us the capability to screen print multi-color directly on large popcorn tins with exceptional registration accuracy and a multi-color custom built printer to print UV inks directly on a tin cover. While there are some limitations to silk screening tins, this method allows you to purchase affordable custom cans in small quantities. Our four-color process printing takes your high-resolution digital artwork files and prints them to near photographic quality directly onto the tin covers. Silk screened tins and digitally printed tins can be produced in quantities as low as twenty-four pieces, and a custom lithographed tin may have minimums of ten thousand tins or more. You can create your own professional, custom tin — no matter how big or small your needs. We will be able to advise you and help you through your personalized tin project, no matter what method of printing you need for your project. From silk screening to digital printing to large custom lithograph printing. Call us at 1-800-841-0481 and let one of our expert, friendly service associates assist you, step-by-step, in making your custom tin a reality. Your custom decorated tin will surely be a keepsake for years to come!